Despite taking good care of the trees on your property, there may come a time when a tree will need to be removed. Removing a tree may also be a necessary step in maintaining the aesthetic appeal of a yard or to make space for a new landscaping feature, but it may also be a requirement if a tree is showing signs or symptoms that removal is necessary. While choosing to cut down a tree can be a difficult decision, it is often important in order to protect property, surrounding landscaping, and even people. Nevada Tree Service specializes in professional Las Vegas tree removal including identifying the signs of a tree that should be cut down. In this post, we will look at three major indications that a tree will potentially need to be removed soon. When microbes and fungi begin to digest wood, a tree starts decaying. Trees with signs of decay are not only unpleasant in appearance, but they can also pose a real danger of falling over causing damage to a nearby house or building or even people walking by. Unfortunately, decay is not an issue that can easily be treated and resolved. Decay is a clear sign that a tree will need to be removed quickly. Signs of decay include loose bark, deep cracks or holes in the trunk, mushroom or fungal growth, deadwood, soft or crumbly wood, weak branches, presence of carpenter ants, and damage to the root system. If you see any of these symptoms or suspect potential decay, you should seriously begin to consider having the tree removed. If you are unsure if the negative signs you are seeing on a tree is decay or a treatable disease, contact our team at Nevada Tree Services today. We have the knowledge to identify decay and the experience to remove a tree before it can become a liability. Trees with very large roots can become troublesome for any homeowner. Large invasive root systems can affect the health of a lawn or at the very least make it difficult to mow and maintain. Roots can also grow into cement structures such as driveways or patios and cause cracks compromising their structure. Invasive roots have even been the cause of serious sewer and plumbing problem. Tending to the potential repairs caused by invasive root systems can be expensive and is often only resolved by removing the tree. Nevada Tree Service is able to assess a tree’s root system and help you to determine if it would be best to remove the tree before damage can be done. Trees that have been damaged or weakened are another clear sign for the need to remove a tree. Trees can become damaged due to severe weather or other incidents. Even root systems can weaken or damage trees. For instance, some trees will develop circle roots that will never be able to support the weight of the tree properly. A tree with extensive damage or inherent weaknesses poses a threat to the safety of your home as well as to those living in it. If you have discovered signs of potential weakness or clear signs of damage, contact Nevada Tree Service to have the tree professionally removed soon. Nevada Tree Service offers professional Las Vegas tree removal that is done safely and efficiently in order to prevent damage from a decaying, damaged, or weakened tree. Contact us today at (702) 433-4700 to request a free estimate on tree removal in Las Vegas. Trees provide many benefits for a property including aesthetic appeal or shade, but there comes a time when it becomes safer to cut a tree down than to leave it. When a tree shows signs that it must be cut down, it is extremely important for homeowners to act quickly and responsibly to ensure that it is removed an accident or hazardous situation can result. Failing to remove a tree can end in costly damage to property or, worse, in injury to yourself or those you love most. At Nevada Tree Service, we understand the danger presented from trees that need to be cut down, which is why we highly recommend that you act quickly to avoid a dangerous situation. We offer professional Las Vegas tree removal in which our team of professionals will safely and effectively cut down the tree or trees necessary. The following are important signs to watch for if you suspect that a tree on your property may need to be cut down. A diseased tree can be very dangerous as it presents a greater risk of falling. Disease in the tree can be identified through a number of indications. Among the first signs of disease to check foris the color and condition of its leaves. If the color of the leaves has taken a yellowish or discolored tone, hasstrange nodules, and shows little to no veins, your tree is very likely diseased. Another clear indication of disease in a tree is branches that are weak or trees with branches that seem to fall off frequently. A diseased tree is also prone to have roots, trunk, or branches that are rotting. Diseased trees may also become overtaken with pests such as insects, rodents, scorpions or worms. Check your tree thoroughly for any fungus growth on the trunk or at the roots. Mushroom growth at the base of tree or even on the trunk is an obvious sign that certain regions of the tree have been infected with fungus and have already started to rot. If you notice widespread fungal growth, then it is highly recommended that you cut down the tree immediately. If there are branches overhanging over your home or other structures on your property, you may be forced to cut down the tree as a long-term solution to protect your house or prevent costly repairs. This is especially true if there are too many branches or if the tree itself is permanently slanted in a way that will surely result in branches that will end up growing over your If this is the case, cutting down the branches will only be a temporary solution as they will continually grow back. In contrast, cutting the tree down will ensure that you get preventoverhanging branches from becoming a problem. Overgrown roots or those growing horizontally can result in damages to property, landscaping, sprinkler systems, plumbing, or even sewer lines. Overgrown roots can also compromise the strength and stability of the tree making it crucial to act quickly in having the tree cut down. It is extremely important to be sure that all trees planted on your property are compatible with the soil and climate of the area. Trees that incorrectly planted will not grow to their full potential and will be more susceptible to disease or weakness. Cutting down a tree that doesn’t belong will be the best way to avoid potential problems or hazards in the future. Nevada Tree Service provides professional tree removal for Las Vegas, Henderson and surrounding areas. If you have a tree that you think may need to be cut down, call us today at (702) 433-4700. We not only have the knowledge to be able to inspect the tree to be sure, but we also have the experience and tools needed to safely and effectively cut it down. Old trees can sometimes feel like a part of the family; they could have countless special memories attached to them or perhaps they’ve simply been on your property for generations. Making the decision to remove an old tree can be more difficult than you would expect, however sometimes it is just necessary. There are many factors that could require you to have a tree removed. Old trees can develop a number of problems that could affect its health or even make them a danger. Even with regular tree care and maintenance, trees can become infested or grow too big for the area. Those, among other concerns can lead to the hard decision to have a beautiful feature of your yard removed. Trees, just like any living thing, will decline over time. Trees can develop disease, infestation, decay, or fungi. Signs of an unhealthy tree include decay on the trunk, dead branches, dropping of leaves or sap, and insect infestation. Experienced tree care specialists will better be able to tell you if the tree can be saved or if it is simply time remove it due to these and other concerns. A hollow tree can be dangerous creating a risk of collapsing. If one-third or more of the tree’s trunk is hollow or rotted, it is probably a good idea to have it removed. While a tree can live for years with a hollow trunk, it is still poses a significant danger that should not be neglected. Large trees with broken or damaged branches are a hazard to your property, possessions and any person that comes near to them. If more than 25 percent of the larger branches are dead or damaged, the chances of the tree surviving lessen and the chances of it needing to be cut down increase. Pruning the large dead branches can create the possibility for new growth, helping to extend the life of the tree. Experienced arborists will be able to tell you the potential for new growth or the need to have the tree removed. Trees that are leaning over present the greatest risk and provide a significant reason for having the tree removed. Sudden breakage and weakened roots can both contribute to a leaning tree. Trees that lean suddenly in particular should be removed quickly. A good indicator that the tree has leaned too far is if it leans more that 15 percent from a vertical position. If you have an old tree on your property that has you questioning if it should be removed, contact Nevada Tree Service today. 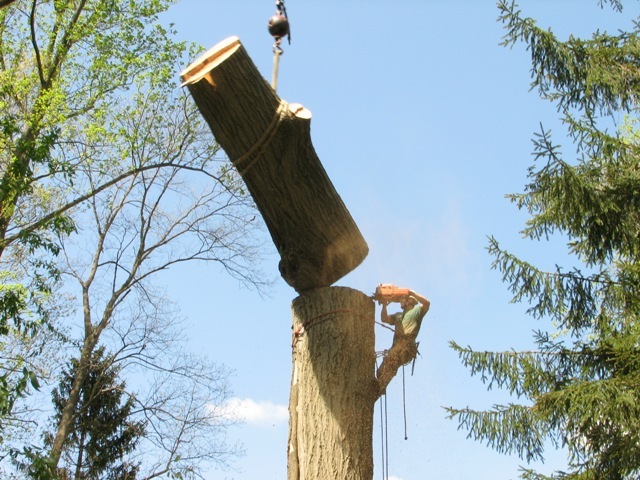 We have extensive experience in determining if a tree needs to be removed and also in removing trees safely. Call us today at (702) 433-4700 for a free estimate. Trees that are too close to the house can cause damage to the house or to other structures on the property. Roots can grow into the foundation weakening the construction of the house. Damaged trees can have large branches break off or fall over entirely causing major damage to the roof and structure of the house. The best way to avoid such potential damage is to remove trees that are too close to the house, especially trees in poor condition. You should also consider removing any trees with a dangerous lean, particularly if it leans in the direction of your house. While some trees may withstand for years with a lean, a lean can be an indication of a damaged tree at a greater risk of falling. If you are unsure whether a leaning tree is putting your property and loved ones at risk, contact Nevada Tree Service to inspect the tree and then give you an honest opinion. Trees and the subsequent shade provided by them can create dampness in areas directly beneath the tree cover. The presence of constant moisture can slowly result in rot for any wood in the area and create mildew in others. Removing trees will allow sunlight to get through preventing the accumulation of moisture. Sometimes tree provide a beautiful view, but other times they can block an even better view. Consider removing trees that are blocking windows or trees that stand in the way of a great view from your porch. Overgrown and poorly maintained trees can negatively affect the curb appeal of your home. Removing unsightly trees will improve the aesthetic appeal of your new home. Deciding to remove trees can be a difficult decision, but the decision and process can be made easier with an experienced tree removal company. If you have any questions about tree removal on your newly purchased Las Vegas property, whether it to be to ensure safety or improve curb appeal, contact Nevada Tree Service today for an honest opinion and free estimate. Trees can add both beauty and value to a property, but they can also pose a threat if not properly maintained. If you have trees on your Las Vegas property it is crucial that you maintain them correctly so that they can live a long life without endangering your home or family. Routine tree maintenance and care will improve the appearance and health of the tree, along with improving the condition of surrounding landscaping and preventing damage from dead or decaying branches. An unmaintained tree in poor condition is sometimes best to remove in order to avoid putting people and the property at risk. However, tree removal can be dangerous if not performed with sufficient knowledge about how to do it properly and safely. Tree removal can be done on your own, but is best done by experienced professionals. Though there are many ways to maintain trees, two of the most common techniques used include pruning and mulching. Pruning involves cutting down branches and other sections of the tree and is primarily done to remove any dead or disease-infected parts. If you neglect to prune infected branches, you increase the possibility of disease spreading to other sections of the tree, which can often cause irreparable damage. Mulching aims at supporting the roots by offering it a cooler environment and making it stronger. To make it more effective, mulch is placed at least 3 inches below the ground level so that the roots of the tree are completely enveloped. Mulch also keeps away weeds from the roots. Nevada Tree Services offers Tree Maintenance services that will provide regular care for any tree on your property improving curb appeal and ensuring safety. An easy way to remove a tree is to fell it. For this, you need to look at whether there is sufficient free area available so that the tree can fall without damaging anything. Then check the lean of the tree and cut it in a way that it will fall in the free area. If there is not enough free area around, you will need to cut the tree in sections. To remove the stumps manually, you can use using a chainsaw, a shovel and other such equipment. Another option is to use chemicals like potassium nitrate to soften and destroy it completely. You can also choose to burn down the stump by drilling a hole through its center. Tree removal is best done by experienced professionals, especially if the tree is too big or overgrown to remove on your own. With specialized knowledge and techniques, Nevada Tree Service is able to safely remove any tree on your property. Contact Nevada Tree Service today for a free estimate on superior Tree Maintenance and Tree Removal services for Las Vegas, Henderson and surrounding areas. The decision to cut a tree can be difficult, but often necessary. A diseased tree or tree in very poor condition can put property and people at risk. Sometimes, even a healthy tree needs to be cut in order to improve landscaping or to encourage new growth. If you have a tree on your property that should be cut down, you must keep a few things in mind to ensure your safety and avoid damages.Without taking proper precautions cutting a tree on your own can turn out to be disastrous. Cutting a tree can be dangerous. Mistakes while cutting or the tree changing direction during the fall can cause damage or injury. Ask people to stay away at a safe distance. You should also plan an escape path for yourself that will allow you to quickly get away as the tree is falling. Examine the premises and have a clear idea of where the tree will fall if you cut it from a particular angle and direction. Ideally, the tree should be cut in the direction it naturally leans in and fall into an open area, but unfortunately a tree will not always fall the direction you intend for nor is there a guarantee of empty ground in the surrounding areas.If empty ground is not available, do your best to clear the area and remove loose branches. Influencing the fall of a tree is dependent on the directional notch made. Notch techniques vary and should be researched properly to ensure the ideal technique for the tree and area. Choosing the best tool, whether a chainsaw or axe, can also influence the way a tree is cut. Check to see if falling branches from the tree will impact anything directly. Often this step is forgotten, resulting in branches that fall on electric wires and or on structures. If you think there is even the slightest chance that branches will cause damage as the tree falls, be sure to first cut those branches before you start cutting the tree trunk. Cutting a tree can be dangerous and unpredictable, making it highly recommended to hire professional tree cutting services. Nevada Tree Service has extensive knowledge and experience in Tree Removal and Trimming. No matter the size or shape of the tree, we are able to ensure that the tree is cut safely, without causing any damage to you or your property. Call us today at (702) 433-4700 for a free estimate on Las Vegas tree cutting or tree removal. Is it time to finally remove that tree in the front yard? 1. Do They Have General Liability Insurance? While every tree company should hire professionally trained workers, there is risk involved in several job functions. In the unlikely event that anything should happen as a result of the work being performed – such as damage to property – general liability insurance kicks in to correct and repair the damages. 2. Do They Have Workers’ Compensation Insurance? Just like general liability insurance, each tree company should have workers’ compensation insurance in the unlikely event of an accident where an employee is harmed. This compensation helps the injured person(s) with wage replacement, medical treatment, and rehabilitation. 3. Are They Properly Licensed? It is illegal to provide tree-removal services without a license. Period. Legitimate companies will be able to provide proof of both insurance and licensing. 4. Do They Have Safe Trimming Practices Set In Place? A tree company should have safe trimming practices in place to protect their employees from harm. Inquire whether the company enforces safe trimming practices like the ones provided by OSHA to reduce any level of risk to the worker. 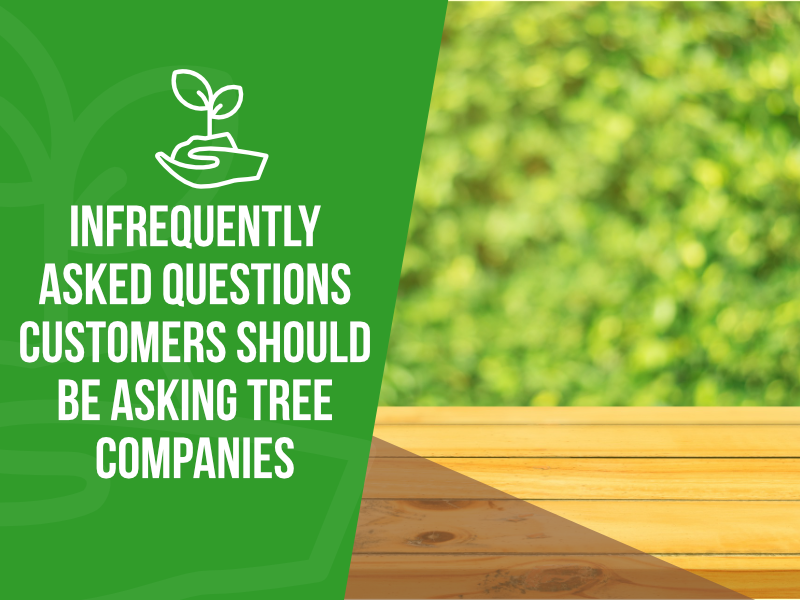 Keep in mind that when hiring a tree company, many insurance companies will consider it negligent if a homeowner fails to verify insurance and licensing information. This could result in the homeowner being held responsible for damages and injuries sustained on the job site. Choose a company like Nevada Tree Service so you can feel confident that you are protected – we are happy to provide proof of workers’ compensation and liability insurance for you to call and verify. Sometimes you need to get rid of certain trees because of various reasons. The reasons might be: trees planted too close to your major structures; trees shaped badly; they are dead or there me a stump. Whatever may be the reason, tree removal is not a simple and easy task. You need to be mentally, financially and legally be prepared before starting the task of tree removal. 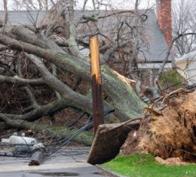 Insurance Aspects: While removing trees, it may fall on other valuable properties of yours or your neighbor’s and can cause personal injury as well. It may lead to serious consequences. So your insurance should cover all these aspects. Underground Cables, Pipelines etc: Roots of some trees go very deep inside the earth. If you plan to remove such trees or their stump or roots, you must be aware of underneath cables, sewer or gas pipelines and their damage should be avoided. Laws by Local Governing Bodies: Some municipal corporations and authorities have incorporated various laws which restrict or prohibit tree removal even from the private properties of individuals. You need to take permission in advance from appropriate authorities first before starting your work. Estimation Of Weight And Associated Damage To Property: There may be the instances when some branches or trunk of your tree overhang to your neighbors property. In other case it may be too close to your own building. In such cases, apart from checking bylaws governing tree removal, you need to consult your neighbor and take his/her permission. Further, you need to have weight considerations in mind because sometimes small branches are actually much heavier than they seems to be. Underestimating can lead to serious damage to properties and other complications. Disposal of Waste: Just removing the tree from your premises does end your task. 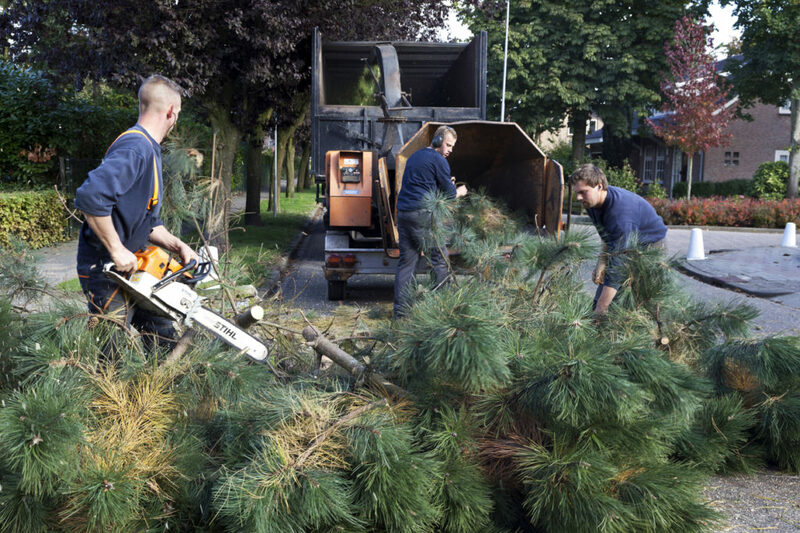 You have to dispose the materials that are obtained after removing the tree. It can be tons of wood, branches and debris which need proper disposal. You cannot simply dump them at the mercy of municipal authorities. In fact, your need to estimate it in advance before you start actually removing the tree. To make job easier you may need an on-site shredder too. If your home work on this issues is sufficient, you may proceed your own. But, if you have slightest of doubt, your need to hire a tree removal service provider. Feel free to contact Nevada Tree Service at 702-433-4700 for all your needs regarding tree removal. With our team of trained professionals, we do help you to remove your trees without any hassle and no-obligation estimates. 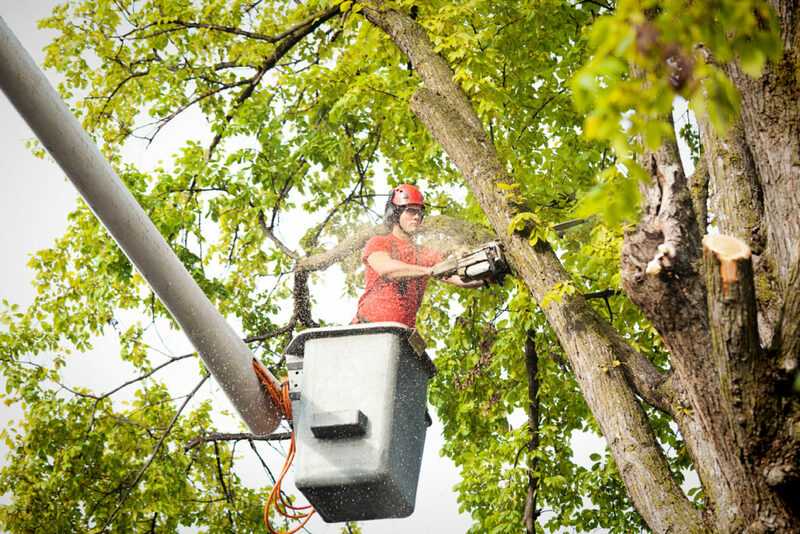 Tree removal is sometimes the inevitable solution for certain tree problems, but many times tree service technicians jump to the conclusion of removal before considering alternative options for treating the issues and pursuing different routes for fixing the problem. Fortunately, tree service providers like Nevada Tree Service are willing to consider various options before resorting to tree removal in Las Vegas. Regular pruning:- Don’t let dead or weak branches sit in a tree for long periods of time. Also, set aside time to cut back overhanging branches, which might cause a threat to personal safety. Choosing planting spots carefully:- Don’t plant in areas where the roots might eventually pose a threat to the structure of the house or to other plants in the yard. Taking note of weak structural spots:- When the base splits, make sure to keep an eye on any potential structural threats. When cabling or bracing seems necessary, contact professional providers of tree care in Las Vegas to assess the problem. Certain scenarios exist where tree removal is the only viable option for success. Sometimes a tree will begin leaning at a hazardous angle, which has potential to transform into a highly dangerous situation without the proper action. Also, when a tree dies, removal is the only option. Trees become a cherished part of a yard and a home, and it can often be difficult to part with them. When the alternative routes don’t produce the desired outcome, tree removal in Las Vegas becomes a necessity. To gain a better understanding of tree removal alternatives, contact the tree experts at Nevada Tree Service to gather more information about the subject. Trees on your property can be a great benefit or a great risk, depending on how you take care of them. If properly cared for, trees will add value to your home and property. If allowed to grow too large and die, then they pose the risk of falling on the home and causing incredible damage. To help you determine the value of your trees or the risk they might pose, consider consulting a tree service in Las Vegas. Tree removal. When trees grow too large, tree removal in Las Vegas may be necessary to ensure safety of a house or any buildings on the property. Old trees that are very tall and thin cause the highest risk, as they can be easily knocked down and are large enough to cause a great deal of damage. To remove a tree is a time consuming, difficult, and fairly risky job, as it must be done without endangering nearby property. Tree trimming. Pruning a tree’s branches can help it grow larger and healthier over time, and can influence the shape in which the tree grows. Improper pruning, however, can seriously stunt the growth of a tree and kill it in extreme cases. The tree must be trimmed in such a way that allows the greatest amount of light and nutrients to reach the tree and allow it to grow stronger than it was before. Tree Planting. Planting new trees may seem like a simple enough task, as it apparently involves little more than digging a hole and dropping in a seed or stripling. However, a tree must be planted in the right place, in the right soil, and with a proper chance at receiving water and sunlight. To learn more about tree trimming in Las Vegas or other services, contact Nevada Tree Service.